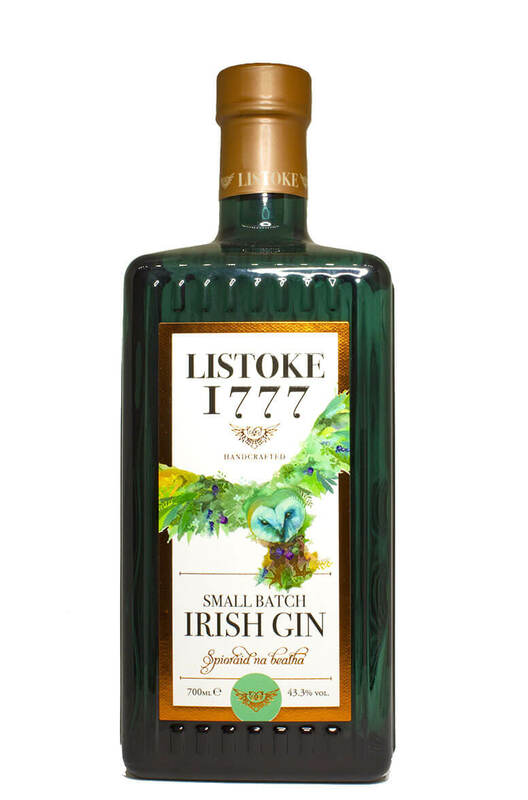 The first release from Listoke Distillery in Co. Louth. Combines a fabulous range of traditional botanicals such as juniper, coriander and angelica root along with a range of locally sourced botanicals from the Listoke estate. The label features a beguiling wise owl, which pays homage to the barn owls in the stable building at Listoke where the distillery now lies. Listoke distillery also boasts the only Gin School in Ireland.